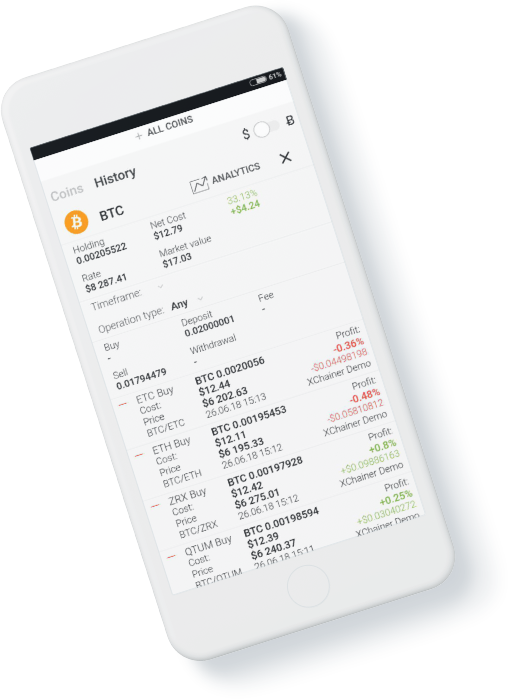 Monitor the state of all your balances at different exchanges and wallets. The entire history is downloaded automatically. 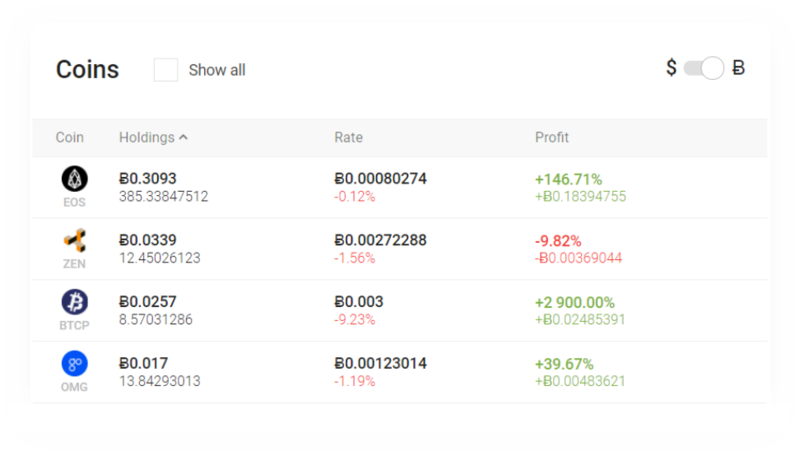 It is convenient for the work with several exchange accounts. Increase the portfolio profitability by rebalancing. 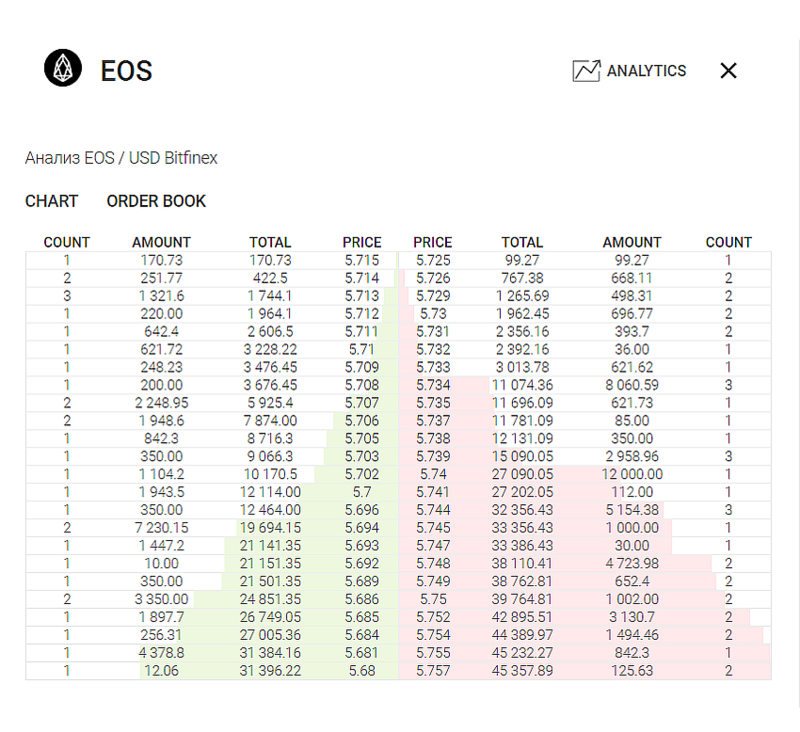 Get the arbitrage analytics on the basis of the order books. 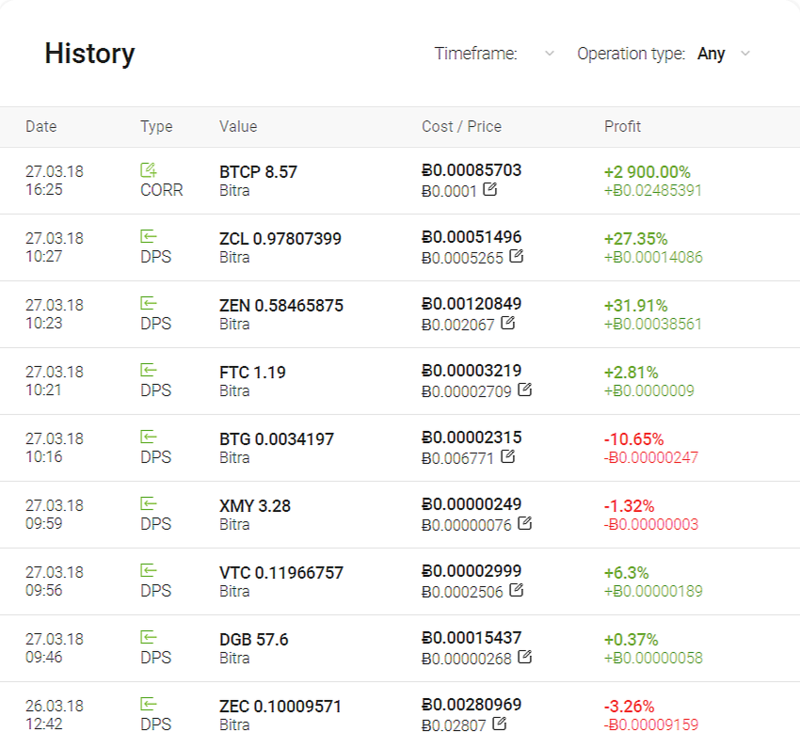 XChainer automatically downloads the whole history of trade operations and moves in multiple exchanges and wallets. It is enough just to connect an API key, and the system will download the whole history. All new operations are also updated automatically. 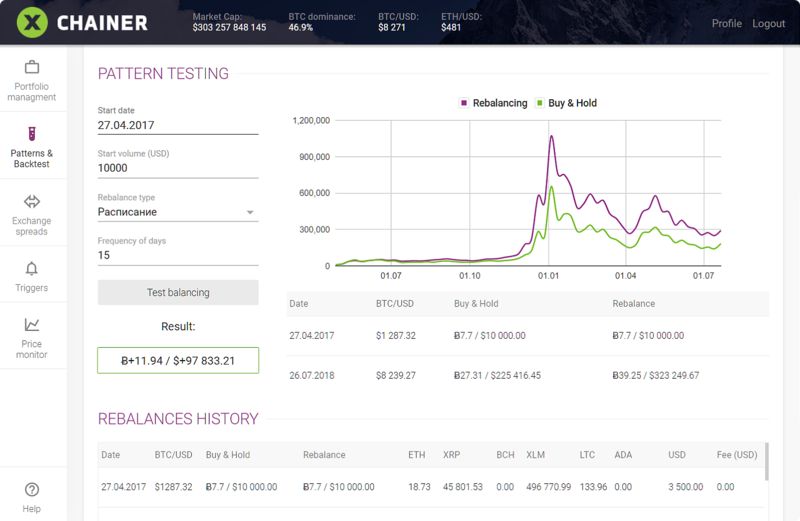 XChainer shows the total balance in BTC and USD of all connected accounts in real-time mode. 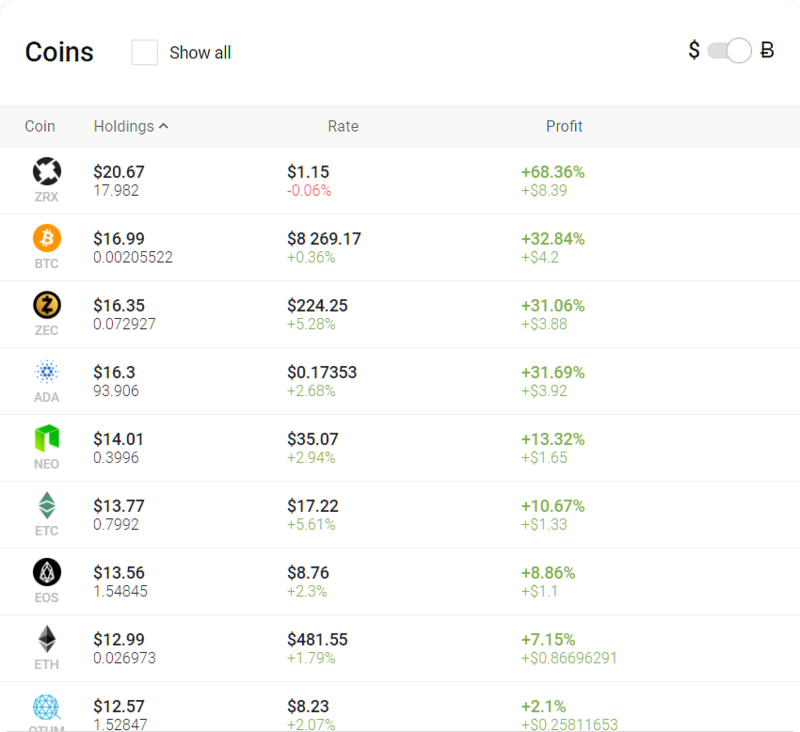 In addition to the total balance, XChainer makes it possible to promptly assess the state of each account separately. Provide access to other users, manage the rights and rulers as you think fit. 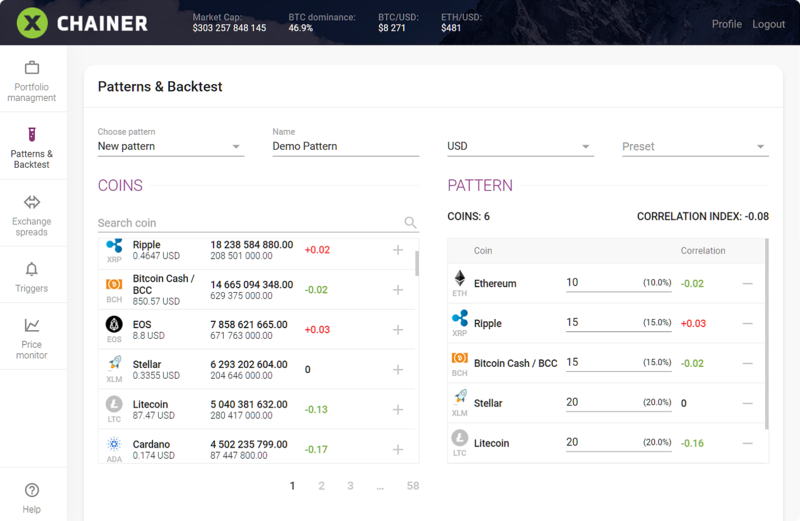 XChainer calculates the current profitability of each currency on the basis of the whole history of trade operations and moves. You always know the number of advantages and disadvantage of each crypto-currency and do not worry how many and what manipulations have been made. 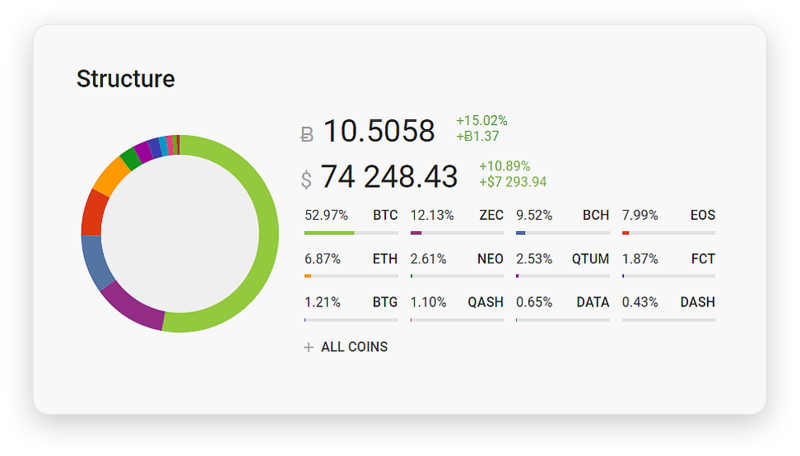 Shows the real value of the portfolio at any point in time. 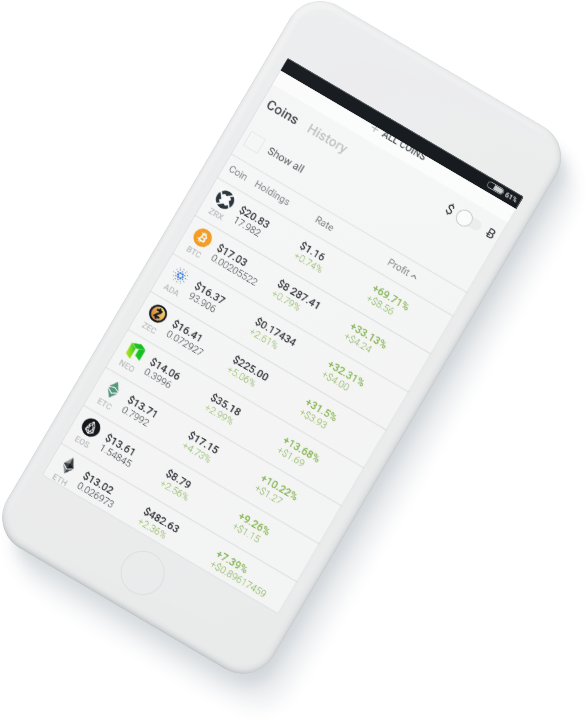 XChainer splits all operations by types and highlights the transaction fees. 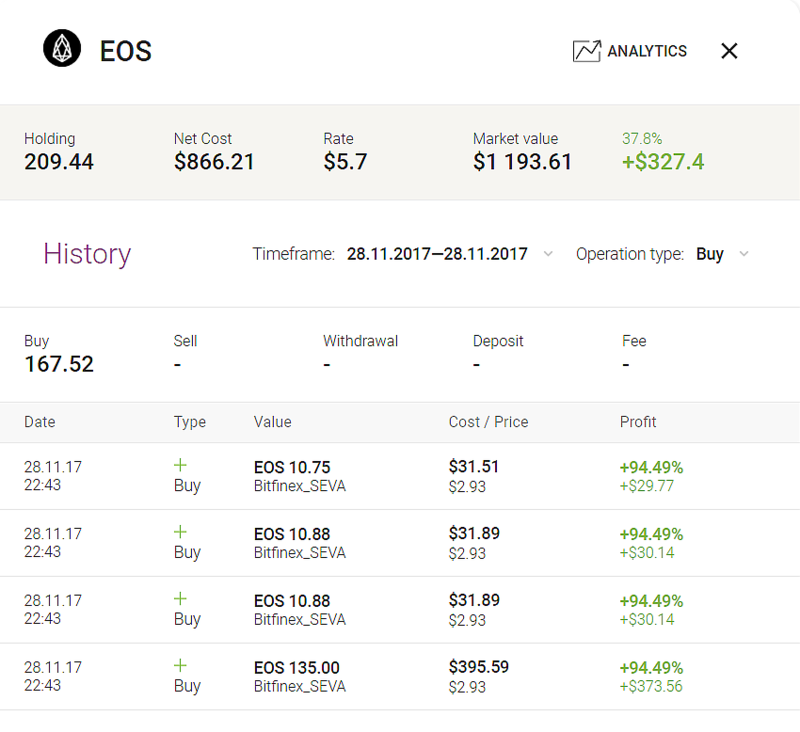 It makes it easy to filter by date, currency, and type of operations. It let you promptly calculate the aggregate volume of chosen operations. 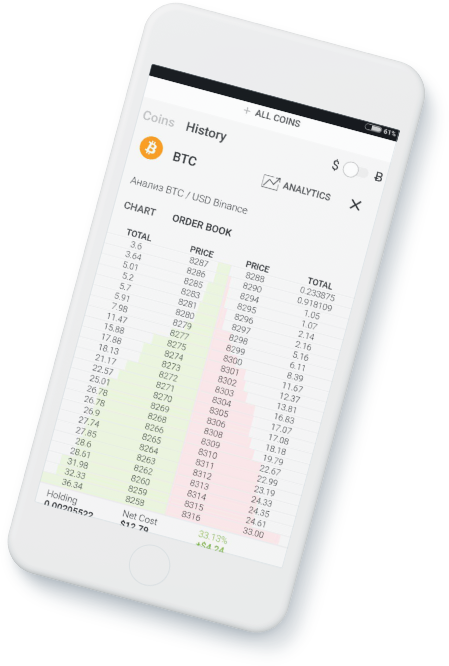 XChainer values your currencies and tokens on the basis of the current demand at the order book by the order books which shows the real value, unlike the exchange rate. It is important when you need to determine the sale price. 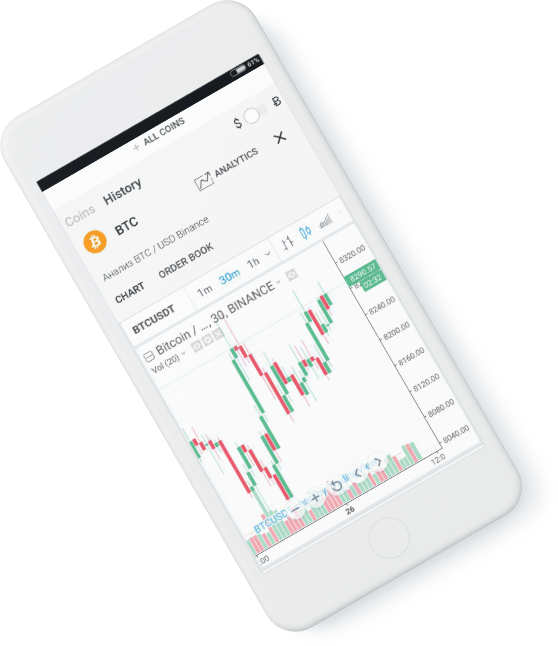 XChainer provides convenient analytics of spreads for arbitrage between various exchanges. 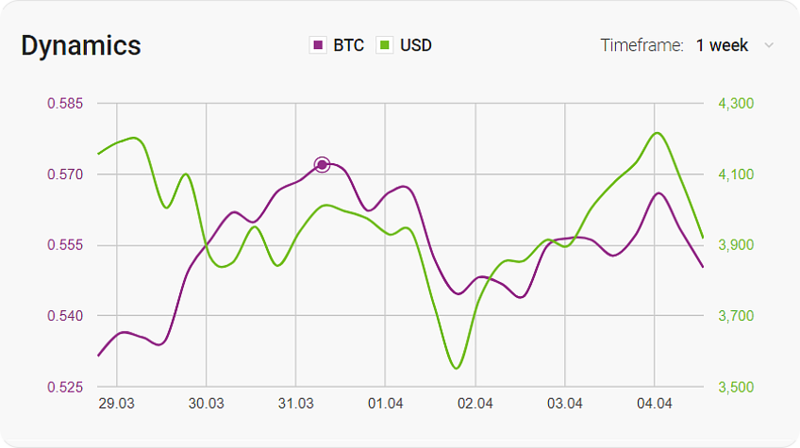 It analyzes the value not by the exchange rates but by the order books, which is critical for efficient arbitrage. 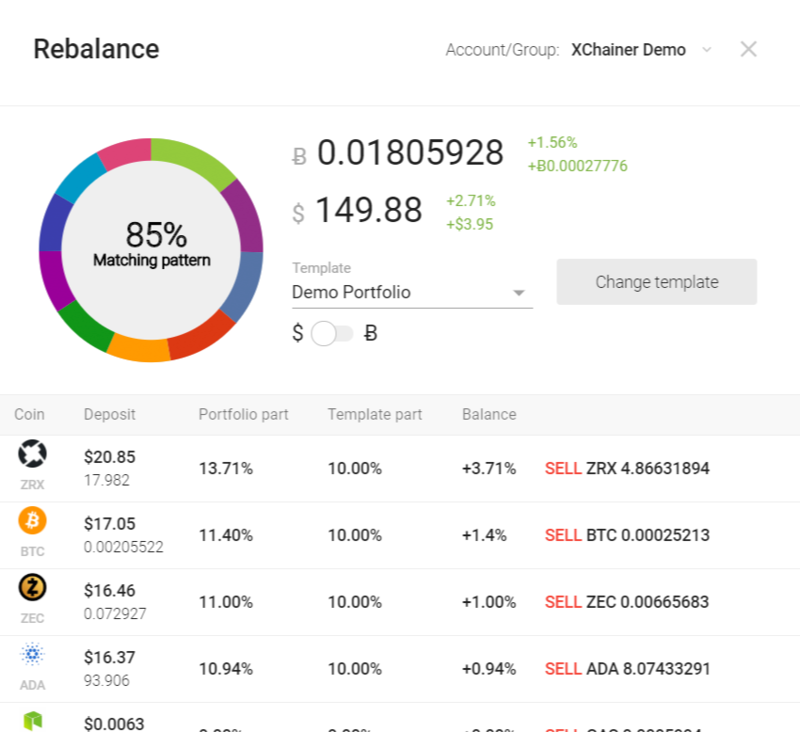 You may test and set the desirable strategy of portfolio rebalancing and XChainer will inform you what to do in order to maximize your investment. The interface completely adapts to the mobile browsers. You do not need to install any applications; it is enough to create a shortcut on the phone desktop. It is better to make the important decisions in the full version of the interface using your favorite laptop or work computer. 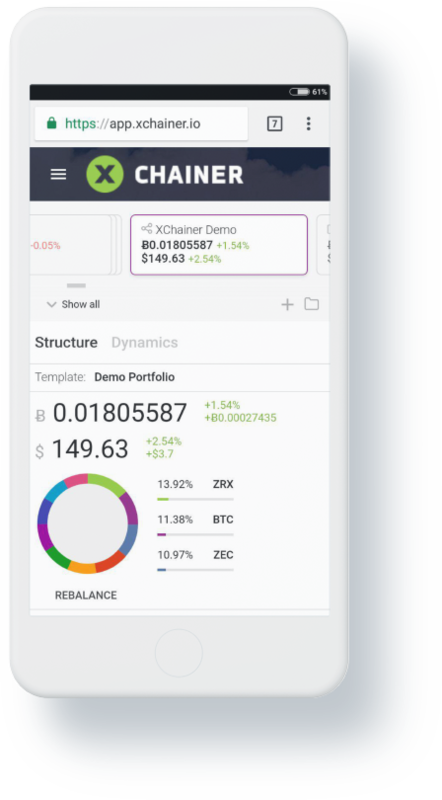 XChainer will never get the access to your money because API keys which only possess the rights to read the balance and histories are sufficient for operation.